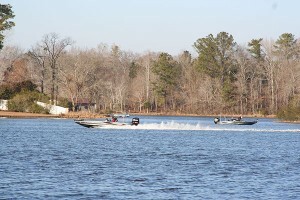 As the month of June begins to evidently take place, with daytime highs in the low-to- mid nineties, there are now hordes of summertime bass anglers, crappie anglers, bream and catfish anglers as well, and many, many recreational vessels now crowing every lake in the state. As usual (at least for most bass anglers), it can often be a real challenge to even fool a big bass (one exceeding five pounds), into even biting! 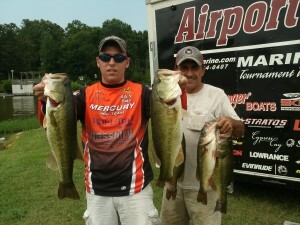 Or, maybe even fooling two of the biggest bass of a life time! Sure, by today’s standards, there are now many lures on the market and there are just as many new ways of fishing them as well, for hopefully fooling any big bass into biting your tempting little offerings, both during the day and at night. But again, you may ask yourself, are you fishing the right places, are you selecting the right lures, have you chose the right water, are you successfully trying new lures and techniques and seriously, are you really going to give it “your all” this summer season? Or will you be going back into that same ol’ summertime slump and just give up all hope after only a few tries? These fishing tips may help. But really its all up to you to improve your summertime fishing knowledge and actually develop a whole new way of thinking in your approach, when your after these really, highly pressured bass of today. After all, the hot summer days can drive most bass anglers more towards fishing only during the early morning hours, before heading home soaked in sweat with the air conditioning at full blast! Even an all day Saturday bass tournament is all most anglers can to do to endure 8-10 hours of fishing, when the air temperature is 95 degrees! With often, the end results showing the parking lot half full at weigh in time, and many anglers leaving the lake early with no fish in their live well. 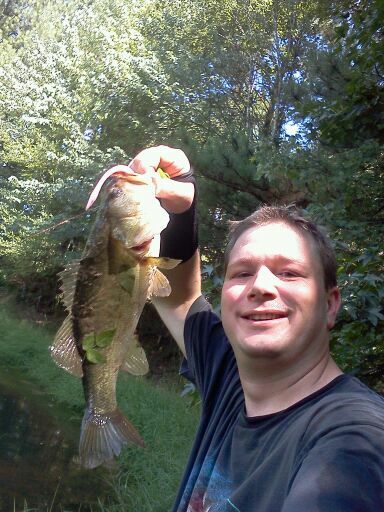 So during the hot days of summer you can continue to look for bass in shallow water and spend your time wisely. 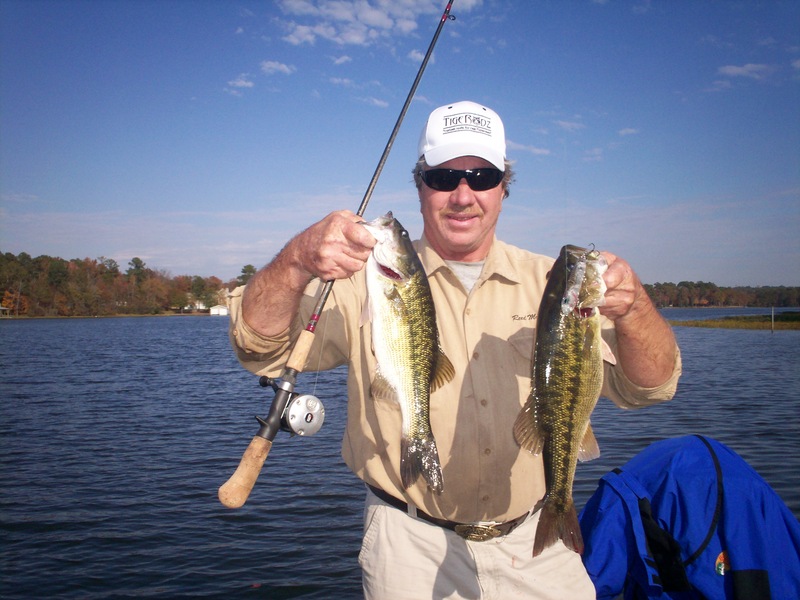 Or, (like many of these summertime bass anglers), you may simply choose to fish your entire day in the lake’s deeper waters, especially with an array of new electronics now by your side. Still, there is another choice. Or, as some summertime anglers do, just resort to night fishing, when the lakes are less crowded and the air and water temperatures cool down a few degrees after the sun goes down. Yes, fishing at night! 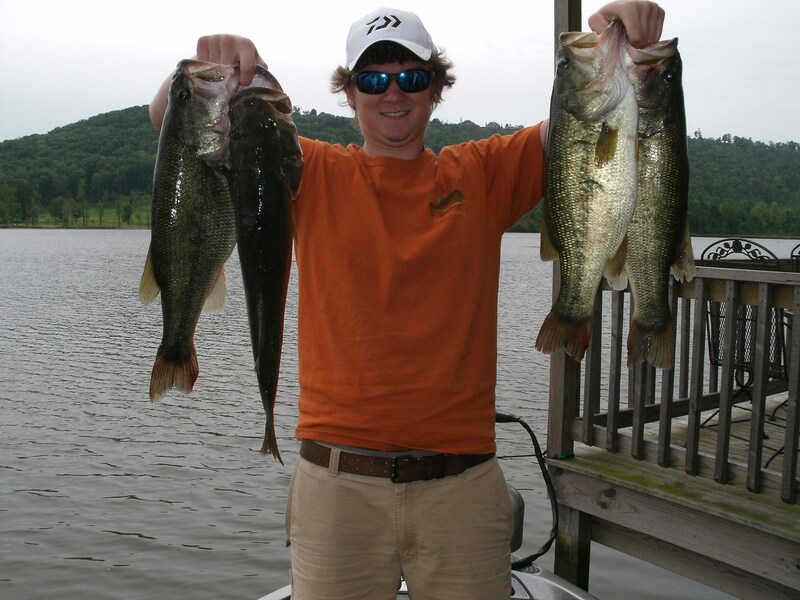 When lots of big, summertime bass are caught each year! But first, as with any conceivable game plan, you have got to prepare, both on the water and at home as well. This means not only does your boat, your tow vehicle and your fishing equipment have to be in top shape, but so do you. So get plenty of rest the day before your planned fishing trip and always get plenty of sleep when getting up very early to go fishing! This also means your way of thinking and approaching every bass you target, during the hot summer days ahead, may have to change! So, Read on to learn more! This article written By Reed Montgomery, Owner of Reeds Guide Service Alabaster, Alabama (205) 663-1504. 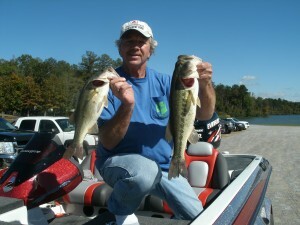 Internet Website www.fishingalabama.com Alabama’s oldest, professional freshwater, — bass fishing only — guide service. Exploring all of Alabama’s lakes, year round, in every season. 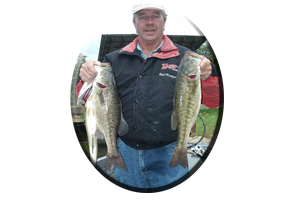 With over 30 years experience bass tournament fishing and now, over 50 years experience guiding anglers throughout all of Alabama fishing for big, trophy largemouth bass, smallmouth bass, striped bass and spotted bass! You can like us on Face book too! It’s a known fact, to really beat the bass during the hot, dog days of summer, you have first got to beat the heat! Here are just a few of my own personal suggestions, of the many ways to keep your cool (besides a good jump in the lake! ), during this four-month long, summer season. 1. Arrive early! Its cooler at dawn! Sure, launching your boat an hour or so before dawn, means leaving your house a little earlier than usual. But it does pay off in huge dividends! Like maybe fooling the biggest bass of your life time! And having a good fishing spot all to your self. You should be making your first cast of the day and be on your favorite spot at least an hour before sun up! 2. 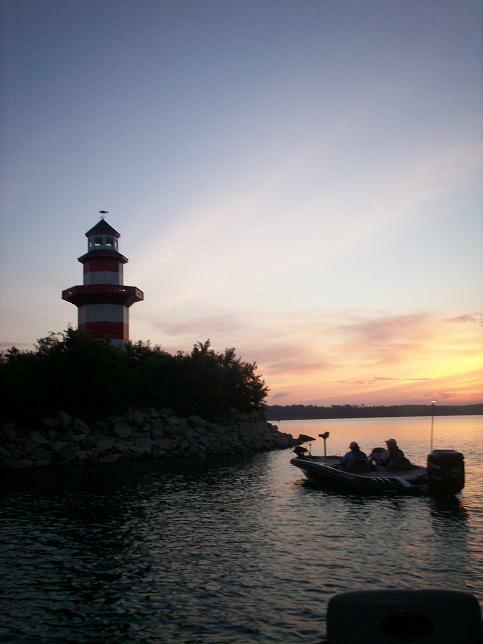 If you fish from dawn (around 5 a.m. or so until about 9 a.m. Central time) you will actually get in 3-4 hours of fishing before many anglers ever arrive at the lake! If its extremely hot and muggy, be sure to bring along another shirt and maybe a fresh hat to change into. Also (very important), always have several small hand towels in the boats cooler, wet and ready to cool your head off or keep under your hat or around your neck. Changing out to a cool fresh towel every time you get hot will do wonders for cooling down your head and upper body fast! 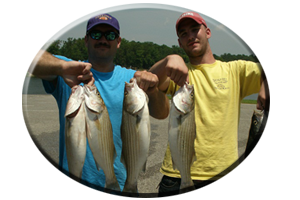 * Plan on moving the boat several times during the mid morning hours, the boat ride will cool you down every time and have you all fresh again to fish just a little longer at each new location! 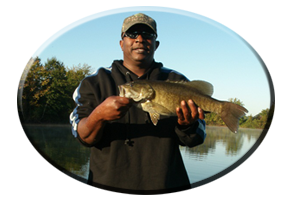 Also, plan to fish along shady banks, either on the eastern side of the lake or far back in winding feeder creeks and rivers, in the early morning hours. Some main lake eastern side banks, stay shady and much cooler, until mid day! 3. Always have plenty of water and gator aid type drinks and lots of ice! It’s a very miserable day without these very needed items, for each and every angler. Include several short breaks in the shade, even if its only for a few minutes and even if your not very hungry, keep eating snacks to keep your energy going at full peak! 4 .Wear sunscreen! It does not really help keep you cool, but even on a cloudy day 80 percent of the harmful rays of the sun can get to you! Reapply sunscreen several times too! Plus, always wear lightly colored clothing, shorts and have a wide brim hat and pair of good polarized sunglasses for each angler! 5. 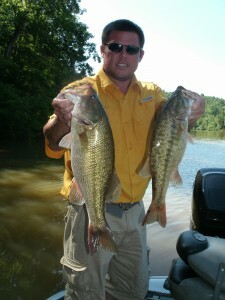 Keep in mind to fish places where the bass keep their cool as well on these often miserable and very hot, summer days! Like fishing both above and below dams, where often the flow of the very evident current and cooler water from the bottom of the lake or impoundment, is always much cooler and these places contain more oxygen as well! The far upper ends of some major feeder creeks, or far back ends of incoming feeder rivers are always cooler as well and shade is everywhere! Spring fed creeks can be 5-7 degrees cooler, than a normal creek with hot, stagment water during the summer season! Besides keeping your cool there are many “off the wall” ways of fooling these big, summertime bass into biting during the normally hot and slow days of summer. Like fishing shallow water during the heat of the day! Or selecting deeper water at midday when current is evident! Yes, there are always some big bass in shallow water, even during midday! You may have to consistently cast a lure (such as a fake rubber frog), to one promising spot many times to actually anger one big bass into biting! So cast to any one spot several times, before moving the boat! bass are lazy and they typically do not move far or chase down a likely looking meal, unless its worth their time and effort! So plan on fan casting any one spot you fish, from all directions many, many times! 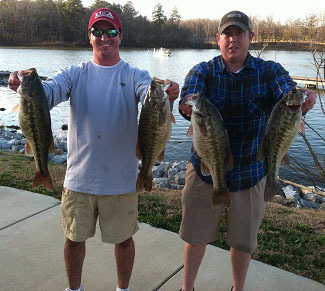 There are so many ways to fool these big bass into biting during the daylight hours. 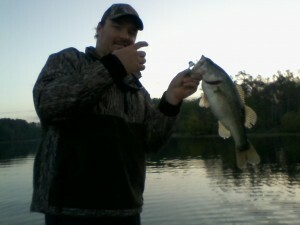 But as many anglers know, after the sun goes down these big bass often let their guard go down as well! 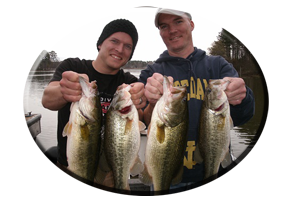 In addition, fishing places at night, those hidden spots that other anglers do not fish, may help you sneak up on a big bass, that other anglers may startle other wise! Always keep in mind, bass are very spooky at night, stealth is very important for any degree of success when targeting big bass in shallow water at night! Without going into detail most of today’s bass anglers keep their boat and tow vehicle in good shape. 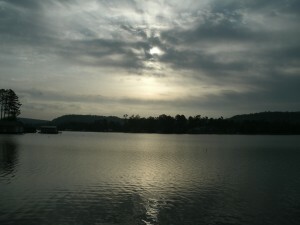 But when fishing at night, its different if you have any unforeseen problems. 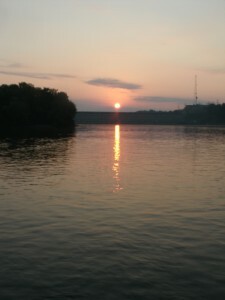 You usually cannot find a tow truck or get your boat towed in if you break down after the sun goes down. Its also very hard to find items like a new battery after 8 p.m. So check all items beforehand like fully charged batteries, working boat lights and always have emergency kits and jumper cables if needed and a good tow rope! Also have ready (and kept in your bill fold), your fishing license, boat registration papers and the phone numbers of any all night marina or a good 24 hour tow truck service. You never know when your going to need it! So be pre pared for night fishing! Note; Alabama Law – Life jackets for each angler, a throw cushion and a fully charged fire extinguisher are the law, you must have them all in the boat if checked by the water patrol, including fishing licenses and working lights fore and aft of the boat when running! “Off the wall tactics” are seldom practiced by most bass anglers that choose to fish after the sun goes down. 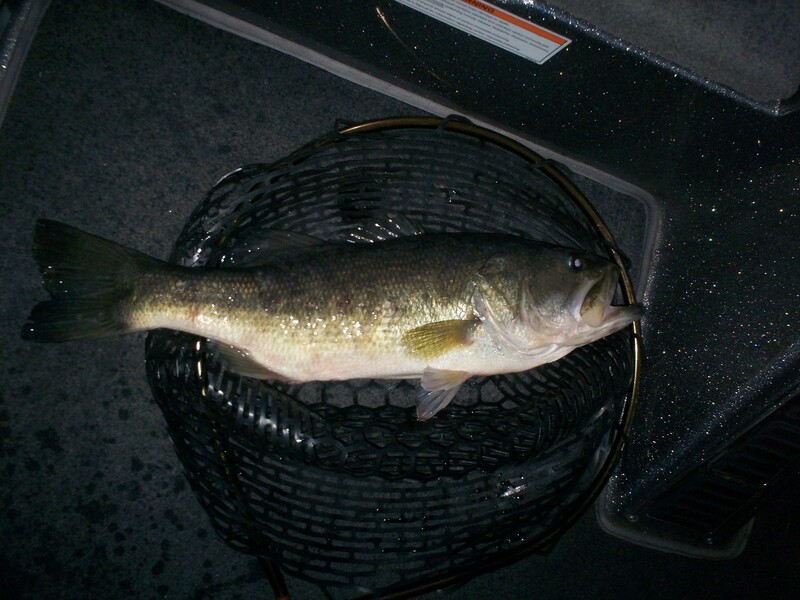 Most nocturnal bass anglers just get stuck in the same old rut, doing what they always do, each summer season. Why? because it works for them, that’s why! 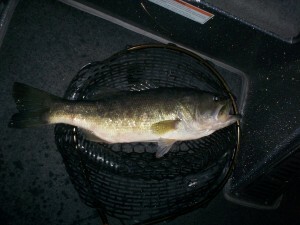 But after over fifty plus years of fishing for bass at night (yes, that’s over fifty summer’s! 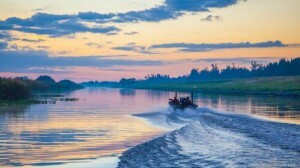 ), I’ve learned there are still many old and new ways to get away from the night time fishing crowd, plus discovering fishing places with little or no other anglers, while targeting unmolested bass with lures and techniques, that many anglers never even give a try at night! In addition, I’ve discovered some “big bass tactics of all kinds” while fishing in some very unlikely ways, very odd places and while often fishing twelve hours from sundown to sun up! But only because I never gave up. So here’s a few more ideas of my own for summertime night fishing! 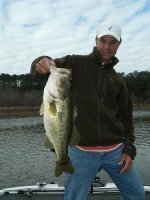 Plus, you can look for more summertime fishing articles and find seasonal fishing tips at the “fishing tips” link located at the top of my website www.fishingalabama.com home page. 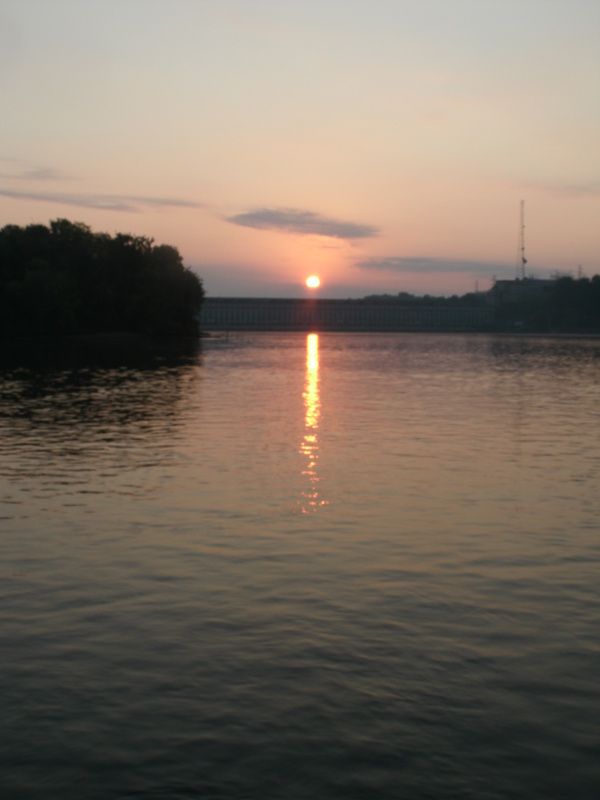 Dams – During the night, whether you fish above a man made impoundment dam / or below any lake’s discharged dam during the summer season, there are many things to consider. 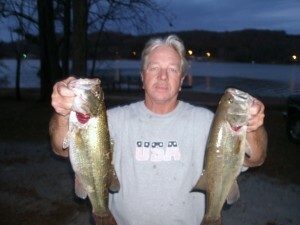 I can even ask, “ have you ever fished a top water lure or even thrown a deep diving crank bait around any dam at night ? ” No? Well, I have. Above Dams At Night – Fishing the man made rip-rap rocks that line the upper portion of any dam, most anglers keep their boat out on deeper water, while casting towards the bank. 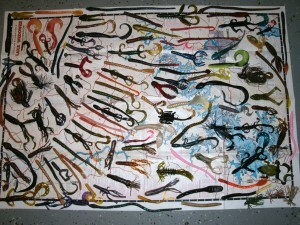 Usually they just fish bottom dredging lures like six inch worms or bigger, over sized ten-twelve inch worms. Or they may select to fish one of any of today’s many plastic meal imitations. 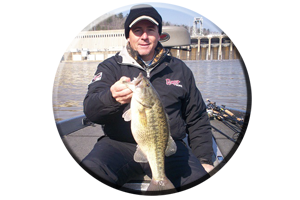 With lures such as big, gaudy jig combos, creature-type plastics with multiple appendages, small to over sized lizards and crayfish imitations, swim baits on small jig heads, Alabama rigs, and even smaller, finesse type worms on lighter line. (If doing so, go ahead and rig up several rods at home before going fishing, either pre rigged with a jig head or a standard old Texas rigged bullet weight. After you break off your lures a few times (while inevitably hanging up in the rocks), stop. Take a short break, drink some coffee, hot chocolate or even a soft drink or Gatorade drink and at least have a snack. Then re-rig every rod. 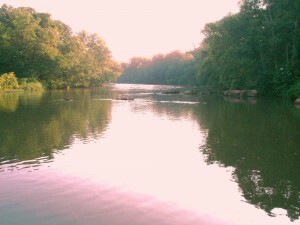 Then go back to fishing, fresh and ready for that elusive big bass once again! Fishing Below Dams at Night – (Note: Dam Discharge Water Areas require extreme boat navigation and caution and always wear your life jacket!) Its easy to launch your boat and run up the lake to most any dam in Alabama. But if your really committed to one area for the night, its easier and much safer (if you have a long boat run to make), to do it right before the sun goes down. 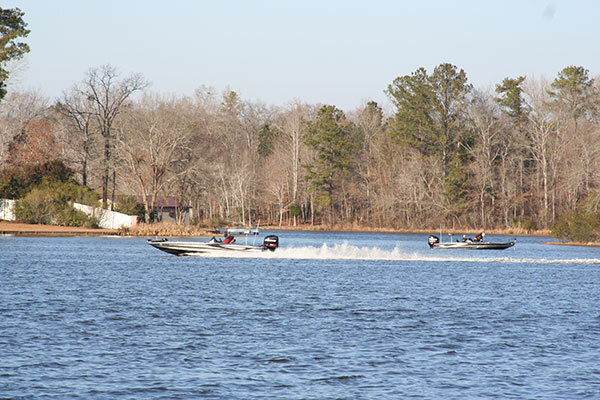 Or you can launch your boat in some of Alabama‘s lake head waters, with many public boat launches located closer to the upper lake dams. Still, keep in mind; Always wear you life jacket and have your outboard motor kill switch attached. It could save your life if your in an unpredictable mishap after dark! 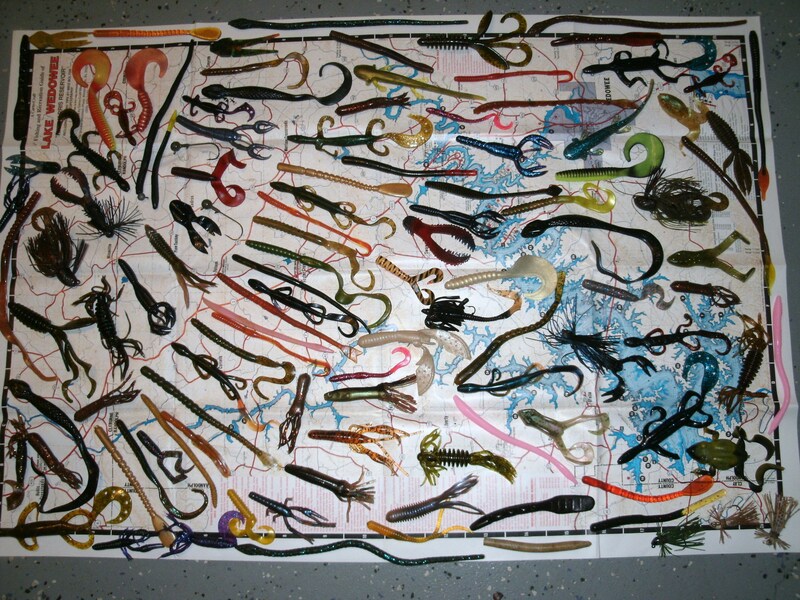 Just like when fishing above a dam at night, when fishing below a dam lure selection and various techniques can be crucial as well. 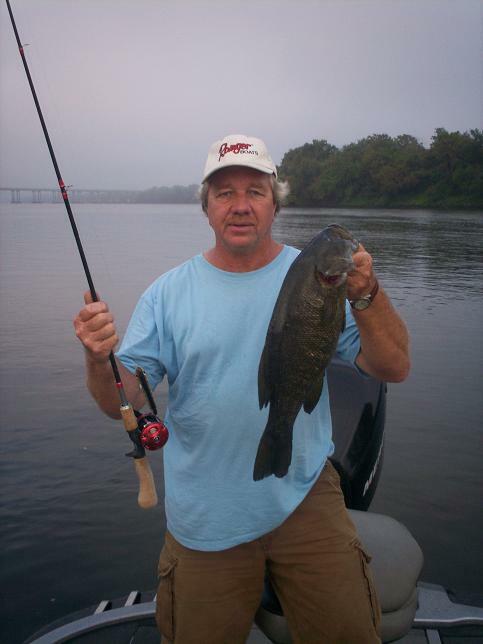 For any degree of success, especially while fishing for bass below any dam with lots of evident current use caution and always keep in mind…no two dams are alike! 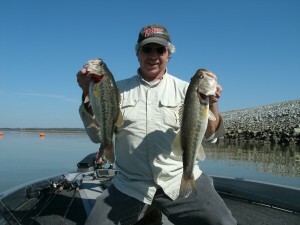 Topwater lures are great, especially when fished in water less than 10 feet deep. Especially enticing to big bass found along shallow rocky flats around dams, in slack water areas. Walking type topwaters (those with dangling treble hooks), like zara spooks are good lures. 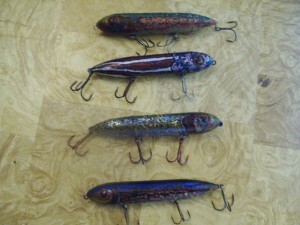 When fished in a walking-type manner these, older type lures will move 20 times and still stay in one small little spot! Poppers too! 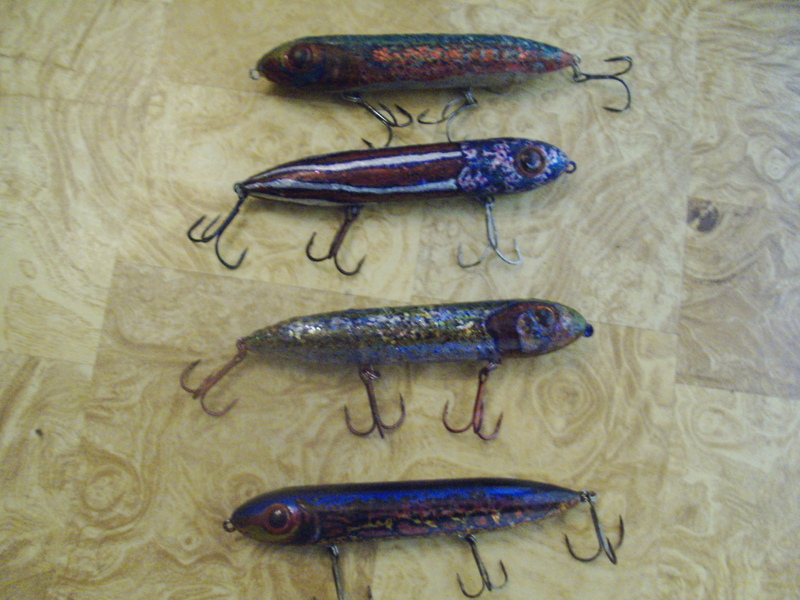 Prop-baits and concave mouth topwaters like an older type model, “the jitterbug” can be made to stop and go, enticing bass that often follow these topwaters a long distance before striking! A half ounce black buzz bait will fool a big bass, always include a trailer hook! Besides many lures fished on or near the lakes bottom below dams at night, bass anglers should always try other lures around these dams. Lures like half ounce, Colorado blade spinnerbaits are good at any depth! When cast long distances and reeled in fast they can be made to wake along the surface of the water. Or you can slow roll heavy spinnerbaits in the mid water column, or allow them to be dropped to the lakes bottom, while fished in a jigging up and down motion, all the way back to the boat. Bladed baits or the name sake “Chatter bait” emit lots of vibration when retrieved fast in shallow water. They are especially good lures around boulder strewn areas of 1-3 feet deep. Constant casts towards any potential bass in these dam locations may be needed, for some bass often hold tight to any available cover until a potential meal (or your lure), comes close enough to nab it! My final tip (for now) is this; stay tuned for more of my summertime “off the wall” tactics and the many various ways it takes to successfully fool these big bass this summer season! For more fishing tips, fishing articles and general bass fishing info, including the many ways it takes to fool these summertime bass while fishing both during the hot, daytime hours and at night see my website www.fishingalabama.com and look us up on face book too! Thanks and may you catch the biggest bass of your life during this summer season! Reed Montgomery, Owner of Reeds Guide Service, (205) 663-1504 Alabaster, Al. 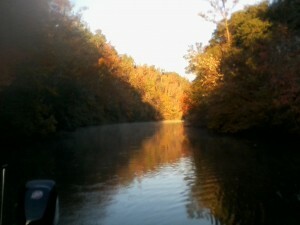 Alabama’s oldest, professional guide service for over 50 years!